Have You Had Your Breakfast In Bed With #PhillyChocolate? When I heard Kraft was coming out with Philadelphia Chocolate Cream Cheese I almost died and went to heaven. I mean who doesn’t love cream cheese and chocolate? Now the two greatest things have been combined and I have already been using it in my many baking recipes and as an extra special treat for me and the girls on some of our favourite breakfast foods! When my girls saw this smooth chocolaty goodness spread on their french toast one morning they screamed “You are the best mom ever!” I was the best mom ever, they devoured their breakfast and now give me that loving look in the morning when they want their breakfast jazzed up! New Philadelphia Chocolate is made with the creamy goodness of the Philly you know and love with a touch of pure milk chocolate. This delicious Cream Cheese has half the sugar and calories of the leading hazelnut spread, not to mention it is a great treat for the whole family. Spread it on toast, bagels, french toast or pancakes as part of a complete breakfast. One of my girls favourite breakfast recipes is my Banana Pancakes topped with some Philly Chocolate and you can make this for you & your family by using my recipe below. Maybe make a morning of it; rent Willy Wonka & The Chocolate Factory, make these delicious pancakes and have a breakfast picnic in your living room while watching the movie! 1. In a medium sized bowl whisk together your flour, baking powder, salt and sugar. 2. In a small sized bowl mash your banana until you get to your desired smoothness (my kids prefer completely smooth, they don’t like chunks of banana). 3. After you have mashed your banana whisk in your eggs. 4. Once you have whisked in your eggs add your milk and vanilla and whisk until well blended. 5. Pour your banana mixture and the melted butter into your flour mixture folding your batter gently just until it is blended – be careful not to over mix your batter it will be thick and lumpy depending on your banana smoothness. 6. Place a non-stick pan over medium heat on your stove top until hot. Once it is hot place a square of butter and one tablespoon of vegetable oil into your pan and swirl it around to mix it up a bit. 7. Drop your batter into your pan using a ladle or measuring cup, making sure your pancakes are 2 inches apart. Cook them until a few bubbles form the top of the pancakes and the underside is golden brown, then flip your pancakes and cook until the bottom side is golden brown and the top is puffed up. 8. Transfer your pancakes onto an oven safe dish and place in your oven to keep warm. 9. Wipe out your pan then add more butter and oil and repeat until you have cooked all your pancakes. 10. To top your pancakes you can either spread Philly Chocolate on top or scoop a ball of Philly Chocolate with a melon baller and place on top. Add a few slices of bananas, sprinkle some confectioners sugar on top and enjoy! Philadelphia Cream Cheese Canada on Facebook is having a great challenge called “Breakfast in Bed “Likes” Challenge”. This challenge is to help you come up with a very simple but creative way to convince your better half or children to make & serve you breakfast in bed ← Tell me you don’t want someone else to cater to you one morning for a change? It is very easy and in just 3-steps you could be snacking on some delicious Chocolate Philly, maybe even my Chocolate Philly Banana Pancakes – YUM! All you have to do is use your social media super powers and persuade friends of yours to help your dream of Chocolate in bed come true! Post a Facebook Status Update (even tag Philadelphia Cream Cheese Canada in your status) saying something like “If I get 25 Likes & Shares my (insert who you want – kids, boyfriend, husband, cat … okay I am only joking about the cat) will be making me an out of this world Chocolate Philly breakfast in bed. Once you reach your goal show that special someone the post and they won’t be able to deny you your well deserved reward! Then when that special someone serves you that amazing breakfast using Chocolate Philly snap a photo of them and submit it to the Philadelphia Cream Cheese Canada Facebook page! As frugal families we are here at Extreme Couponing Mom I have an extra special announcement to help you be served Chocolate Philly in bed while saving! That’s right, you guessed it – a COUPON! Starting on May 21, 2013 you can head over to the Philadelphia Cream Cheese Canada Facebook page and get your hands on a coupon to help you save on the Philadelphia Chocolate a.k.a Heaven in a Philly tub as I like to call it! Leave me a comment below and tell me what will you put #PhillyChocolate on? For more information on the Chocolate Philly in Bed Challenge and Coupon offer head on over to the Philadelphia Cream Cheese Canada Facebook Page. Disclosure: This is a sponsored post for which I was compensated for. Even though I was compensated for this post I always give my honest opinions, findings, beliefs, or experiences. The views and opinions expressed in this post are purely my own based on my research and experiences. Any product claim, statistic, quote or other representation about a product or service should be verified with the manufacturer, company, provider or party in question. awesome write up, I didn’t believe it when I saw the commercials they were coming out with this… I agree cream cheese and chocolate. I haven’t tried it yet, but I am going to indeed. I think I would like to put it on a nice thick cut waffle, or maybe dip some fruit in it.. or maybe just eat it off a spoon.. No one said I had to share, right? LOL no Lori you don’t have to share! The waffle and fruit idea sounds yummy, I honestly think #PhillyChocolate will be good on anything and everything … well maybe not a steak! This recipe sounds AMAZING! I will be making these on Sunday! Let me know how they turn out Courtney 😀 Maybe oogaloo can have some too? 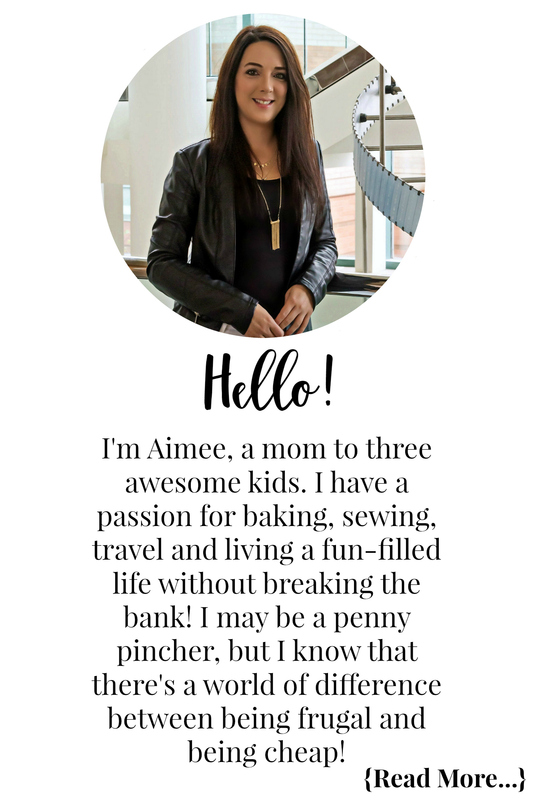 Thanks for sharing Aimee. I will be trying out your recipe this weekend for the family unless of course Im in labor at the hospital but who knows maybe I can write it out and give Steve a few hints and he can make it and bring it to me haha wishful thinking I know lol. Im excited to try it and I know the kids will love it:) I will let you know how it goes. Awe you have to message me when it is baby time Caryn I really can’t wait to see the new wee one. We will have to get together once you are home and settled as I have some treats for you & the baby! DO let me know if you are not in labor and try it out … post it to Steve’s Facebook and have him do it LOL! Thanks for sharing!! soo trying this recipe this weekend! 😀 yummy!! Sounds Good Aimee. I will definitely let you know when its baby time. And Im definitely going to post that recipe to Steves facebook haha. The recipe sounds great! Mmmm Pancakes! Oh wow that recipe sounds so freakin’ good , now to convince my hubby to make it for me in bed! Off I go to post that status, thanks so much for this post! I love the chocolate philly cream cheese we use it on french toast and I have made mini cheesecakes with it. Yummy, I will have to try making cheesecakes with it. Maybe I should send this post to my wife, she can cook me those delicious pancakes and bring it to me in bed! LOL let me know how that works out Adam! Thanks for the great recipe my kids love your banana bread recipe so I am sure they will love your banana pancakes too and it wouldn’t kill me to top it with a bit of chocolate philly then send them off to school haha. Awe shucks Carrie, thank you. My kids love my banana bread too 🙂 Let me know what they think of it and YES do it on a school day that way if the chocolate gets them hyper they won’t be bouncing off your walls haha! Sounds delish ! Love your informative posts, as always. I will be trying this .. Also .. I dont like to share either !